Hunt the prairies of Southwestern Nebraska along the North Platte River. This hunt offers very high success on quality bucks with the opportunity to see a large quantity of deer during your hunt.A physically "undemanding" style of hunt utilizes both standing & spot & stalk methods.You may also combo this hunt with whitetail as they abide in good numbers in the riverbottoms. Comfortable ranch house lodging & meals are also included.There are no "Draws". License is "Over-the-Counter"
Hunt the Eastern Plains of Colorado for trophy mulies. This area is a consistent producer of bucks in the 170-200+ B&C/P&Y class each year. These big bucks are being produced because nearly all of the land in these units is privately held and tags are limited.These hunts are fully guided with meals and accommodations included.There are only 2 hunters taken each week per unit. Unlike the random drawings in some other states, Colorado uses a preference point system for drawing licenses in limited units.Each unit on the Eastern Plains takes a certain number of preference points to get a license.However, there are also a limited number of private landowner tags available each year that can be obtained for those who do not have enough points to draw. Southwest Colorado is recognized around the world for trophy mulies. This outfitter has leased some of the best deer country Colorado has to offer, and the best part is, it doesn’t take any preference points to draw a license. They also control several landowner tags, just in case you miss the application deadline. Success has been 100% for the past eight years. This hunt is tailored for everyone regardless of their mobility or ability to walk. This is not a “high country” hunt, with most leases consisting of pinion pine and sage brush.The management is set to harvest bucks in the 180-200 class, with some scoring well over 200. Hunt the Peace River country known as one of the top destinations for monster trophy mule deer. Deer tend to be extremely massive and long tined. Spot and stalk and stand hunting. Excellent lodging and meals. Two year waiting list. Call to get on cancellation list. If a true trophy mule deer is what you’re looking for then look no further. Head south of the border to Sonora, Mexico.This area has produced more world-class mule deer than anywhere else. Every year,more and more hunters are exploring the best kept secret in North America. 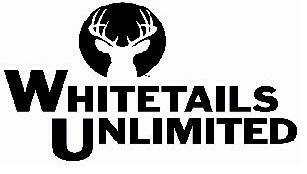 This outfitter strives for quality by trying not to harvest more than one trophy deer per 1,000 acres. The type of hunting consists of safari-style spot and stalk or glassing on foot.Comfortable lodging and meals are included.Can be combined with tremendous Coues deer. This outfitter hunts both private ranches along with some public land.The private land hunts have a high deer density and the number of hunters are limited to ensure quality bucks.Comfortable lodging and meals are included. Hunt the beautiful high country of the Raft River Range of Northwest Utah. This is big open sage country typically ranging 7,000-9,000 ft. in elevation. There are plenty of bucks to be seen with good trophy potential.The hunts are conducted (1x1) on private CWMU ranches which not only guarantee you a tag but also allow the hunt to take place outside the general hunting season thereby eliminating any surrounding hunting pressure.A typical day begins by driving from the lodge to the mountaintop in 4x4 truck and then it's off on foot to glass the wide open expanses of terrain in search of a good buck.The day ends by returning to the lodge for a hearty dinner. Comfortable lodging & meals are included throughout the hunt. This outfitter carefully selects ranches for both quality and quantity of game, and for those willing to work hard and be patient, real trophies are there to be had.You also have the ability to harvest either a mule deer or whitetail deer as quality bucks of both species can be found in large numbers.Can also combine your deer hunt with antelope. Hunt the Shoshone Wilderness area just west of Cody,Wyoming and adjacent to Yellowstone National Park. This area has some of the best mule deer hunting that the Rocky Mountain west has to offer.The hunts are conducted from either a wilderness tent camp or beautiful main lodge, whatever your preference may be. Both have comfortable accommodations along with great meals included. Success runs high on above average bucks. Hunt private ranches near the town of Cheyenne with a small operation outfitter. Only 8-10 combo hunters taken per year. 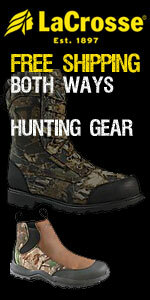 Hunt is highly successful with opportunity usually running 100% on both animals.